Welcome to Ganley Ford, where car buyers near Barberton and Cleveland, OH, can browse an impressive inventory of vehicles from a classic American automotive manufacturer. With hundreds of new vehicles at our two Ganley Ford dealership locations, you are sure to find a competitive price on the precise car, truck, SUV or Hybrid that you have your eye on. While you are browsing our automotive group's website, you can select the Ganley Ford dealership of your choice, then shop our complete new vehicle inventory online. With two full-service dealerships available, you can apply for automotive financing, schedule repair service or order genuine Ford parts for your vehicle. Ganley Ford Automotive Group is home to a vast selection of quality new and used Ford automobiles for sale. We have the brand new Ford Focus at Ganley Ford West or Ganley Ford Barberton. Our two Ford dealerships are also proud to offer the new Ford Explorer and Ford Mustang. So shop at Ganley Ford Barberton in Barberton or Ganley Ford West in Cleveland, OH. 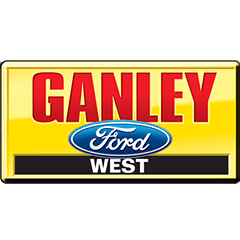 Ganley Ford West is also the dealership to choose when you want to road test an exciting new Ford Escape or be green with the purchase of a Ford Fusion Hybrid. Each of our dealership locations employs a friendly team of sales specialists eager to assist local car buyers with finding their ideal vehicle. At either of our two dealership locations you will find an exciting selection of pre-owned Fords. 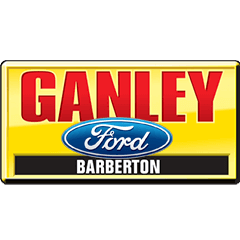 Ganley Ford of Barberton offers a complete inventory of vehicles that have each received extensive multi-point inspections to ensure enjoyment and dependability. Browse our lot and test drive a Used Ford F150. You're sure to find it will meet all of your hauling needs. Take home a pre-owned vehicle from our inventory in Barberton, Ohio now to locate the vehicle you need at the price you can afford. Each of our dealerships in Barberton and Cleveland, OH, are home to finance departments that work with drivers of all credit levels. Including those in need of Bad Credit Financing. To apply for financing at one of our dealerships, simply fill out a secure online credit application. The Service Departments of either Ganley Ford dealerships can provide accurate and quick automotive service for all the makes and models on Ohio roads. From oil changes to brake jobs and new battery installs to warranty repairs, our Service Techs do it all. For genuine Ford parts for your Ford motors vehicles, contact one of our parts departments.